Enjoy Thanksgiving activities with family and friends, with four days of family activities to celebrate this holiday season. Thanksgiving is all about family and friends. 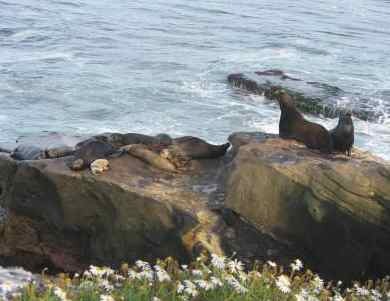 Why not spend it in San Diego? 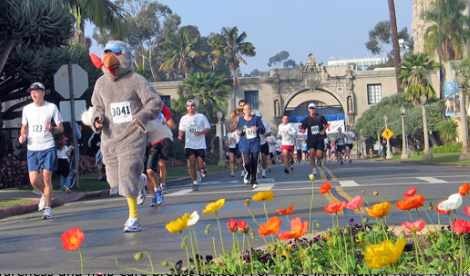 You can ice skate at the beach, enjoy a turkey trot in Balboa Park, visit a theme park and much more. Check out some ideas below. Home Hospitality - Host two marines for Thanksgiving dinner, for Camp Pendleton marines who can't travel home for Thanksgiving. Call early to extend an invitation. Phone number: 760-385-4921. Black Friday - This Friday after Thanksgiving traditionally kicks off the Christmas holiday shopping season. Now the shopping starts on Thanksgiving day in many stores. Take advantage of all the deals online and in the stores as you buy gifts for your loved ones. Don't forget to pick up something to donate to your favorite charity too! The Great Room Escape - A group of friends and I recently checked out The Great Room Escape! Ok…so I have to admit. We did not make it “out” per se but I am writing to tell you about it. This is a great team building task. Gather up a few folks and make arrangements to test your skills as you gather clues to “get out” of the room. Don’t worry too much. They eventually come and get you if your group fails! Check them out at www.greatroomescapesandiego.com. 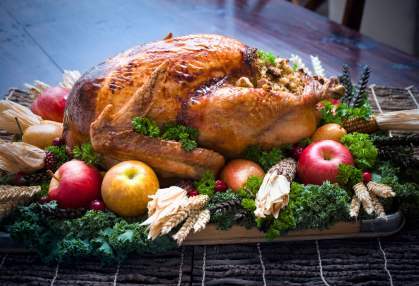 Thanksgiving Dinner Ideas - If you are looking for some great ideas for Thanksgiving dinner, check out our page on Thanksgiving Dinner Ideas. San Diego Thanksgiving Dixieland Jazz Festival - Nov. dates TBD 2019 at the Town and Country Resort Hotel. Join in the fun at San Diego’s annual Jazz festival. Reserve your Thanksgiving day buffet. For details see www.dixielandjazzfestival.org. Del Mar Holiday of Lights - This event is now cancelled. Ice Skating by the Sea - tentative Thanksgiving day November 28 2019, through January 1, 2020 at The Del, Hotel del Coronado. 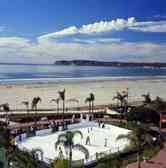 Enjoy outdoor ice skating at Coronado beach, overlooking the Pacific Ocean. Daily sessions with times that vary. Hot chocolate and holiday drinks make this a festive San Diego holiday activity. For more information and schedule see www.hoteldel.com. Santa Arrives at Seaport Village - tentative Sat. Nov. date TBD 2019 from 1:00 - 5:00 pm at Seaport Village shopping area, San Diego. Kicking off the holiday season, So Cal Surfin Santa will arrive in San Diego by ship, sporting board shorts and flip flops for photos with kids on his giant surfboard and wave on Thanksgiving weekend. Families will gather on the boardwalk to welcome Santa to San Diego as he arrives on the Corinthian ship. Kids can pose with the sun-kissed Santa on his surfboard as he surfs a six-foot wave. Things to Do in San Diego - For more San Diego events for Thanksgiving weekend, check out these Things to do in San Diego and San Diego Events November.